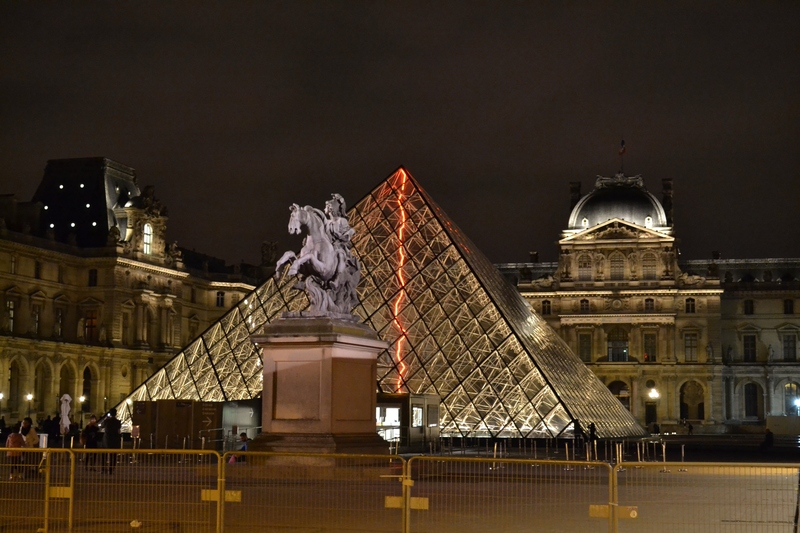 I love how dramatic the Louvre looks when it’s lit up! Yep, it’s very atmospheric at night. Makes for a great walk out late. 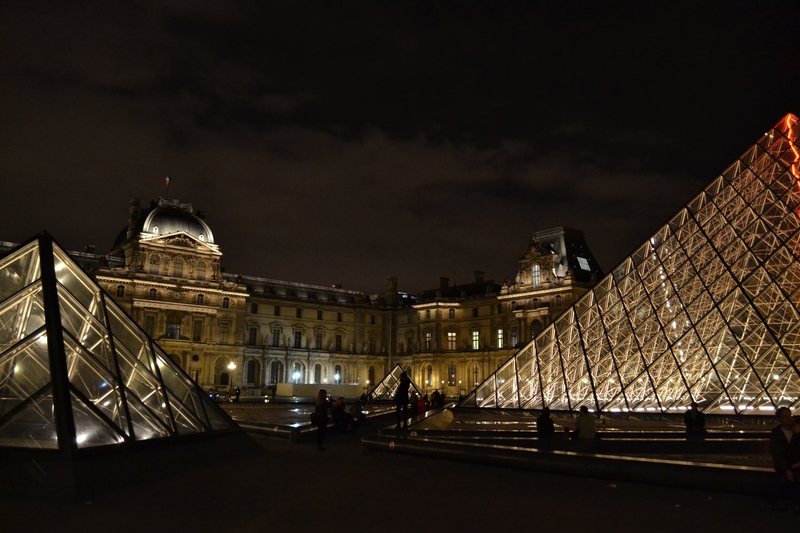 Gorgeous photos – I visited The Louvre many years ago with the sole purpose of seeing The Mona Lisa. It took ages to find her, but it was worth the effort! 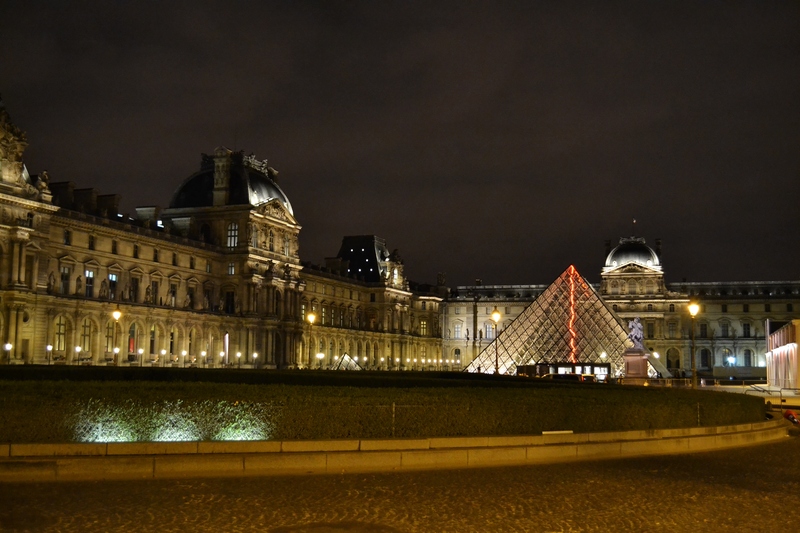 The Louvre is open into the evening on Fridays,so we went late, hoping to avoid some of the crowds. We enjoyed it, but it would take me weeks to see everything there! 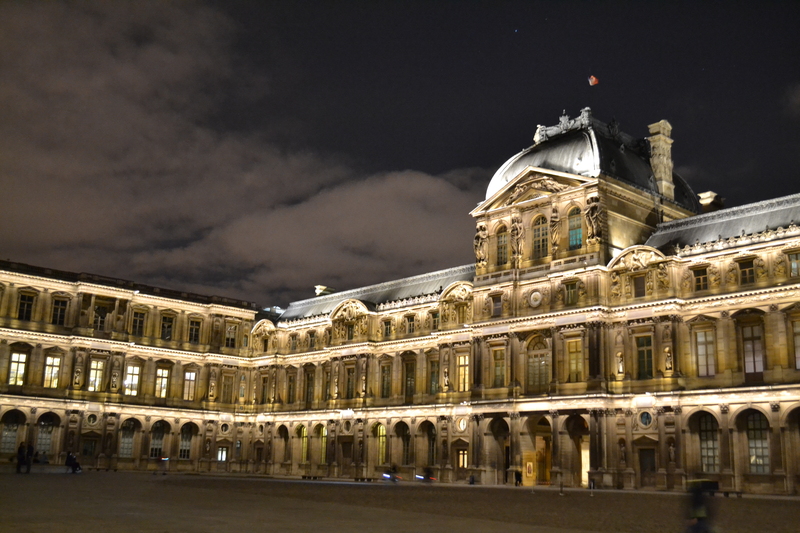 The next night, we walked around outside very late and listened to a cellist playing in the interior courtyard. Fantastic!